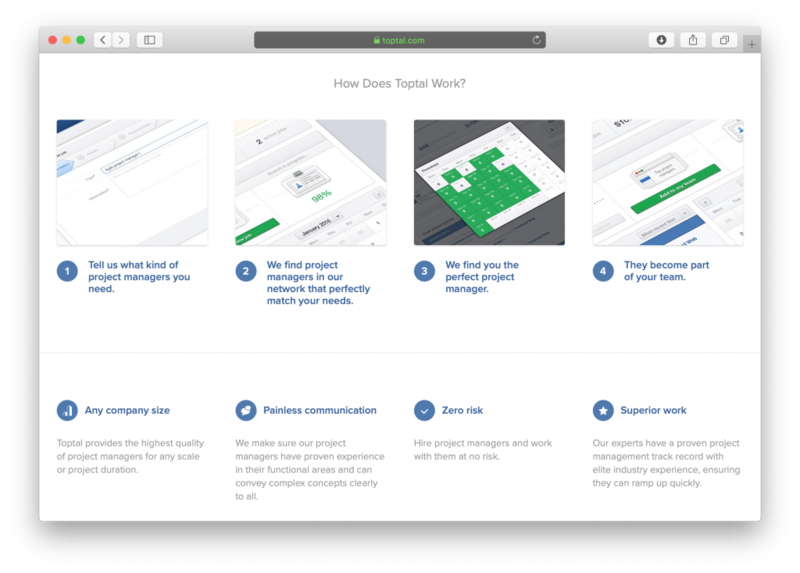 Toptal is an online network consisting of professional software developers, designers, project managers, and finance expects from all over the world. Toptal sellers come together to offer their expertise for various professional requirements. 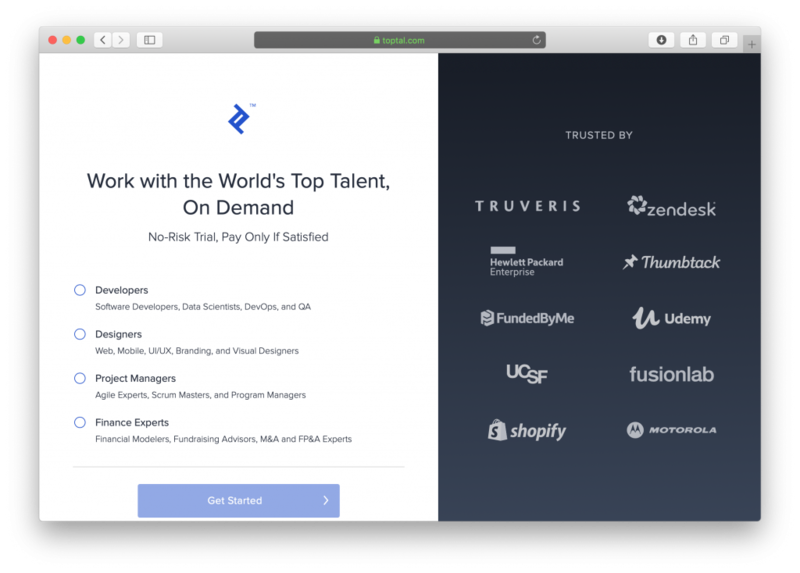 For a startup or established business looking to hire reliable talent, Toptal is considered easy to use and convenient. The online service connects businesses and professionals with entrepreneurs and freelancers. 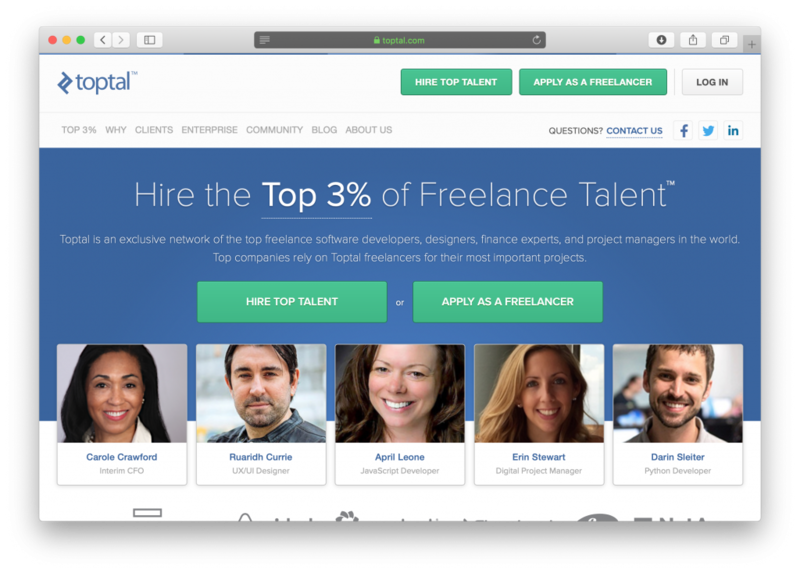 Toptal is also an international platform allowing businesses to rely on a diverse range of global talent. A closer look at what Toptal has to offer can help you determine its effectiveness for your business. What is Toptal Used for? While there are many websites offering freelance services, Toptal is considered the crème de la crème of talented professionals. What makes this website so simple to use is its ease of navigation and breakdown of categories for each service. A business looking to hire a software designer for a brand launch can find software developers with a few clicks. Financial experts with verified services are also available. Every service or talent is listed with reviews. This helps you determine the best fit of freelancer for the job task. What is also beneficial for businesses hiring through Toptal is that each seller or service on the website is verified. This means that every service undergoes Toptal’s very own professional check to ensure it is authenticated. This provides incredible protection, especially for business brands with deadlines and service standards that must be met. Take advantage of the zero-risk feature offering new buyers a trial period. Toptal appears to accept all the risk. You only pay for hiring the new freelance service once satisfied. First register your account as a business or professional looking to hire. You can use the Toptal feature to find talent more efficiently. Toptal will ask you what type of talent/service you are looking for. The ideal match is made. Proceed to try out the service in a risk-free trial period. If you approve, add the service to your online team. Every business buyer is provided a personal account. You can easily manage the freelance services you have hired including past projects in your account. The purpose is to make things easier and efficient within the secure account. Every Toptal individual or service is checked and verified. You receive services from persons possessing approved track records. This ensures delivery of high quality work you can trust and receive on time. While Toptal may appear like any other networking company on the surface, it goes the extra mile for its business clients. The company offers a unique set of features and authenticated talents you can trust. For online networking by verified professionals, Toptal is an easy to use, convenient and trusted platform. The company offers a wide pool of talented professionals. You can find software designers to financial experts from different parts of the world. Take your business to new heights with the professionalism of Toptal. Try out a trial service and allow the online service to prove its weight in gold.